This entry was posted in Gardens, POWs, Reading, Writing notes and tagged Far East POWs, marigolds, memoirs, research accuracy, Researching FEPOW History, Thailand, winter aconites, writing, WWII by hilarycustancegreen. Bookmark the permalink. A similar story is told in the movie ‘Railway man’. I wasn’t convinced by the movie and thought it did not quite work for me. Perhaps the script wasn’t the best or the acting, especially by Kidman, was a bit woody. The best part was the end when photos were shown of the two main characters who did make up and became friends. Wars are horrible and so futile, yet it seems to go on. Thank Boon Pong for his humanity. I haven’t yet seen the film, but I know the book well. It was on my father’s shelves. I don’t know if they mess with the story in the film, but the original is only too true. At least there was some redemption towards the end. I’m still working on the fallout, but it is all good and improves with each workover. By the way, did you know that marigold’s repel bees? They are planted in the vegetable plot to repel carrot fly, I didn’t know they repelled bees, that’s sad. I think marigolds attract aphids or ladybirds. 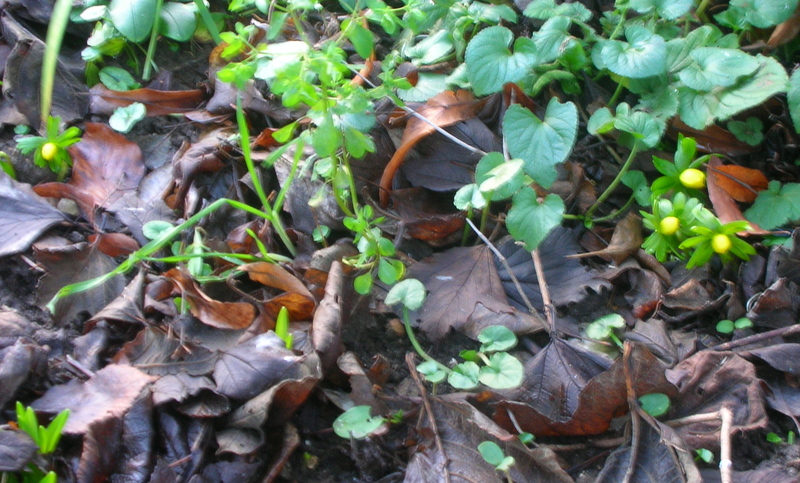 I was told to plant them between my roses as the protected the roses from greenfly or something. It’s a long time ago so I may be wrong, like Barry’s memory. I shall have to my own research. I shall do some of my research of my own – though I have to say that I had no trouble with the carrots. On the other hand orange marigolds among the peach-coloured roses…? Sorry, but could the flower in the photo not be a marigold but more of a calendula? A rose by any other name… Marigold’s other name is Calendula. Plants are like that, they have a real choice of names. “In the case of marigold, pot marigold (Calendula), a native to Europe, and French marigold (Tagetes), an American native in the same family as the daisy, ( Asteraceae) are very different plants. 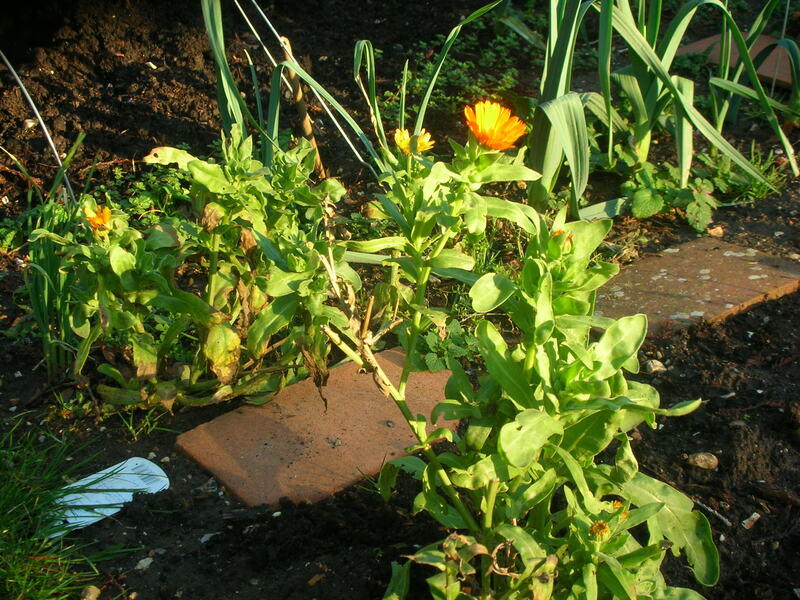 Calendula is edible and often appears on lists of attractive edible flowers. *Most French marigold varieties are not edible. Calendula is also a common herbal remedy used in skin preparations (among other uses). French marigold is a nice companion plant in the garden, makes an effective bug spray and looks lovely in a border. It doesn’t have the herbal range of calendula. Depending on the cultivars involved, both pot marigold and French marigold can look pretty similar”. They look totally different even though both orange in colour. We love both of them. The French marigold is very frilly and a dense flower. They can grow quite large. Some also lean towards a more bronze-brown colour. There are hours of fun to had on the naming of flowers, but to cut a long story short, in the UK the common name for Calendula (family Asteraceae, tribe Calenduleae) is Marigold, the common name for Tagetes (family Asteraceae, tribe Tageteae) is French Marigold. So yes, you are right, the ones in the picture are Calendula/Marigold and like you we grow both sorts in the veg garden, though I have never tried to eat them. Try talking to an American and an English gardener about Rose of Sharon and see what happens. I did! I really don’t know how you cope with so much detail in your research and stay sane. Not sure about the sanity… but I think I was born a perpetual student, so I mostly enjoy the research, though it does addle my brain sometimes. History is as the victor writes, n’est-ce-pas? While we try to be accurate, I doubt if one can be 100% accurate regarding events during the most horrific time in our world. Heck, I can’t remember what I did an hour ago. And Boon Pong was an incredible human being. You are so right. History is a snake, and the head and tail can get very mixed up, depending which end the ‘historian’ grabbed. Five minutes ago is sometime too much for me. I am so glad I have been able to alert a few more people to the generosity of Boon Pong and his family. Thanks, I am now following you too.